At the highest level of any sport, what do you think is the biggest asset of any sportsperson? Is it skill or hard work or acute tactical analysis or is it the mental strength & toughness of any player? Well, one can say it is the combination of all these factors which sum up to the end result but if there was one significant factor that dominates the end outcome, it has to be the mental toughness of any athlete playing the sport. Generally, many players have great skills, they can be a workhorse, going through their routine day in and day out but what separates the best from the rest and further the very best from the best is the mental strength and composure. In a nutshell, we can bifurcate mental toughness in two categories. One in which you don’t overreact or panic when you come across a tough opponent, against whom you either fall short on skill level or have a poor track record. It’s rather easy to feel nervous and get bogged down in such a scenario. And the other category is a situation where you feel under pressure by the way things are panning out for a player in any given match or in simple terms in the context of sports we can label this scenario as scoreboard pressure. 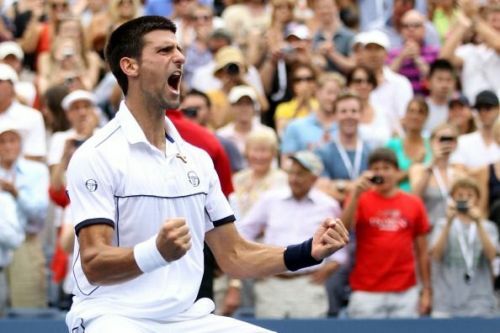 As far as mental toughness in tennis is concerned, in more recent times, one name that distinctly strikes your mind is none other than Serbia’s 15-time Grand Slam champion Novak Djokovic. If we just have an overview of his career and the wins he has had, against the best of the best, it is apt to say that he is an epitome of mental toughness. Having had to co-play in the same era as of Roger Federer & Rafael Nadal, while everyone was focused either on Federer or Nadal and their famous rivalry, the Serbian star has quietly but dominantly won as many as 15 Grand Slams, just five short of Swiss maestro. While his rivals Federer & Nadal tasted a huge amount of success in the early parts of their career, Djokovic was going through agonizingly close and heart-breaking defeats at the hands of his rivals. But no one then knew that Novak was, in fact, preparing himself mentally to conquer the world of tennis in years to come and become a giant of a mentally strong player. And his match against Rafa in the final of Australian Open 2019 was a great example of him demonstrating mental toughness. Why do you think Rafa faced a demoralizing defeat? Neither was any skill difference nor there was any difference of stature among these two great players. Nadal lost the mental battle to Djoker even before the match started as such was the impact Djokovic had on Rafa, as Djokovic exhibiting great mental courage had come on top on 15 occasions out of the previous 19 times he played against Nadal. Djokovic’s head to head record not only against the Swiss maestro 25-22 but also against the El Toro 28-25 is in his favor and as I said previously, this is on the back of the Nadal & Federer both dominating their Serbian nemesis at the start of his career. Be it Australian Open final of 2012 against Nadal or 2011 US Open semi-final against Federer to name just a few, Novak Djokovic has always thrived when it mattered the most, battling against the toughest of odds, against the very best in the business. In an era when Federer and Nadal simply appeared unconquerable, Djokovic’s success after being dominated in their early exchanges at the hands of his rivals, is simply incredible and speaks highly about his mental composure. Novak has been such an example of mental fortress especially since 2011 that he has managed to make Nadal and Federer appear incredibly ordinary and 2019 Australian Open final against Rafa is a fitting example. In his own words as he mentioned previously that he actually gains strength and determination from the crowd who are mostly against him as he is competing against their beloved Rafa and Federer and his huge wins against them is a testimony of how mentally strong he has to be and he is. He may or may not eclipse Federer’s tally of 20 Grand Slam titles or even go past Rafa’s 17, but that debate is for some time later. 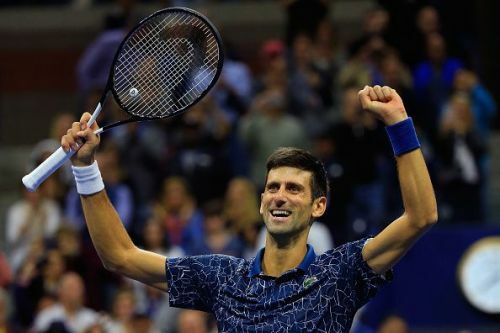 Now is the time to applaud the champion in Novak Djokovic and in fact his journey is a great ongoing lesson not only for all the budding tennis players but also for anyone who looks forward to thriving in the toughest of the situations. And his success should inspire all of those who feel left out just because they are not someone’s favorite as what matters, in the end, is not who are supporting you or not but your success, as it defines who you are and your character as the sun eventually shines brightly after the darkness. Novak Djokovic: A pillar of mental strength as he secured a come from behind victory against Federer 6-7, 4-6, 6-3, 6-2, 7-5 at 2011 US Open SF.